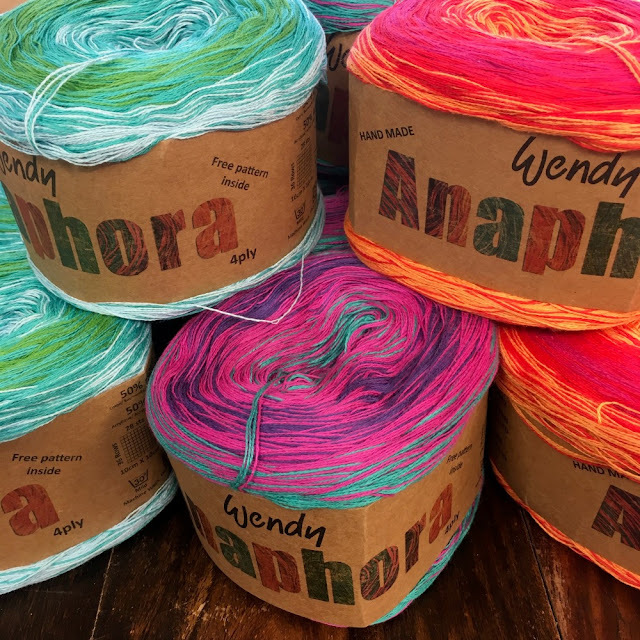 Wendy’s Anaphora yarn cake is a cotton/acrylic yarn. It has a butterfly dye effect... you start with one colour, gradually change to other then back to the original colour. 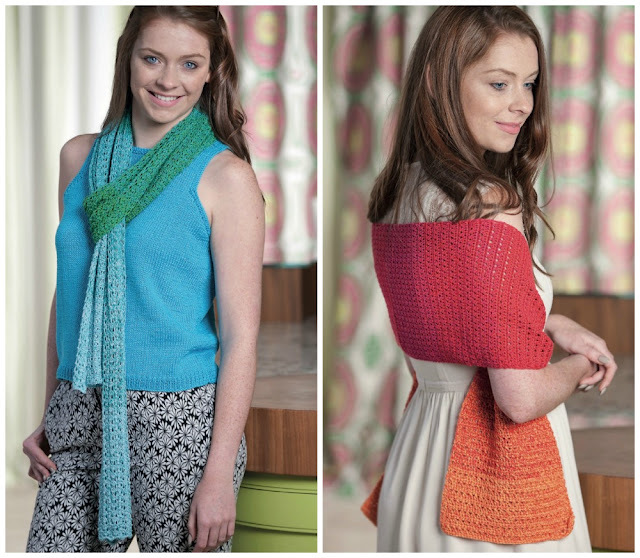 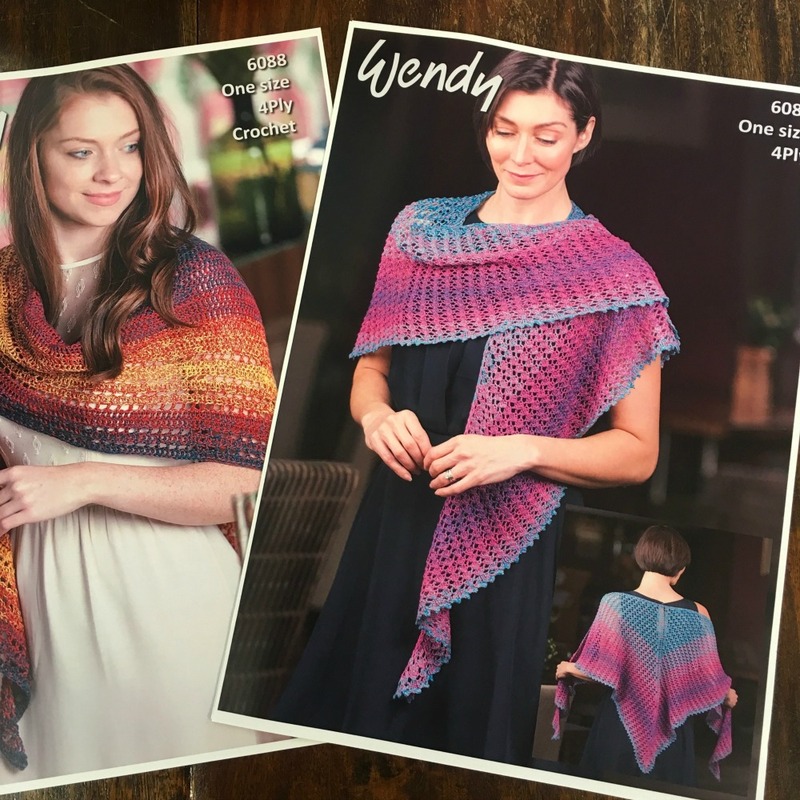 On the back of the ball band there is a free pattern for a knit or crochet rectangle scarf and we have two triangle shawl patterns available to buy too!